. 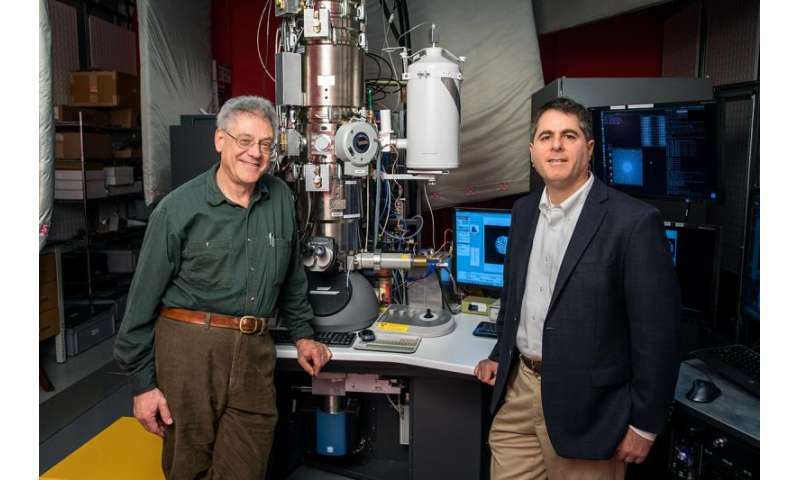 Their electron microscope pixel array detector (EMPAD) yields not just an image, but a wealth of information about the electrons that create the image and, from that, more about the structure of the sample. “It’s mind-boggling to contemplate what researchers around the world will discover through this match of Cornell’s deep expertise in detector science with market leader Thermo Fisher Scientific,” said Patrick Govang, technology licensing officer at CTL. The scientists described their work in the February 2016 issue of the journal Microscopy and Microanalysis. The EMPAD that replaces the usual detector is made up of a 128×128 array of electron-sensitive pixels, each 150 microns (millionths of a meter) square, bonded to an integrated circuit that reads out the signals – somewhat like the array of light-sensitive pixels in the sensor in a digital camera, but not to form an image. Its purpose is to detect the angles at which electrons emerge, as each electron hits a different pixel. The EMPAD is a spinoff of X-ray detectors the physicists have built for X-ray crystallography work at the Cornell High Energy Synchrotron Source (CHESS), and it can work in a similar way to reveal the atomic structure of a sample. “It would be like taking a photograph of a sunset that showed both details on the surface of the sun and the details of darkest shadows,” Muller explained.